There is something you should know about me: I am a crier. I thought about posting clips instead of images to go along with these choices, but I could not even bring myself to re-watch every scene. The current season of Sons of Anarchy is poised to kill off *at least* one major character and I have heard that something major may happen on Parenthood. Every week I mentally prepare myself just in case and I always have tissues ready. They came in handy last week for the unexpected Bones death. With all of that in mind, I decided to create this list of character deaths that have traumatized me. 1. Jenna Sommers – The Vampire Diaries, played by Sara Canning. This show set an early precedent that no one was safe when they killed off Vicki in the seventh episode, but I was still not prepared for Elena to lose both of her parental figures in one episode. John had not really been around that much, but Jenna was the one that took care of Elena and Jeremy day-to-day and she had only just learned of the existence of vampires. 2. Opie Winston – Sons of Anarchy, played by Ryan Hurst. Not only was Opie just a great character but, as my friend Rolee reminded me, he volunteered his death. He knew someone had to die, so he offered his own life to save his friends and help his club. 3. Joyce Summers – Buffy the Vampire Slayer, played by Kristine Sutherland. For this one, it was not so much the death itself that was traumatizing, it was the way Buffy responded to her loss. As the slayer, she was always the one person who could save everyone and this was really the first time that she could not do anything to change what had happened. 4. Catelyn, Robb and Talisa Stark – Game of Thrones, played by Michelle Fairley, Richard Madden, and Oona Chaplin. I only read the first book of this series, so I was not at all prepared for the Red Wedding. I knew Robb was supposed to die at the end of the season, but was not expecting the brutality of their deaths. The image of Talisa getting stabbed in the stomach is forever seared in my brain. 5. 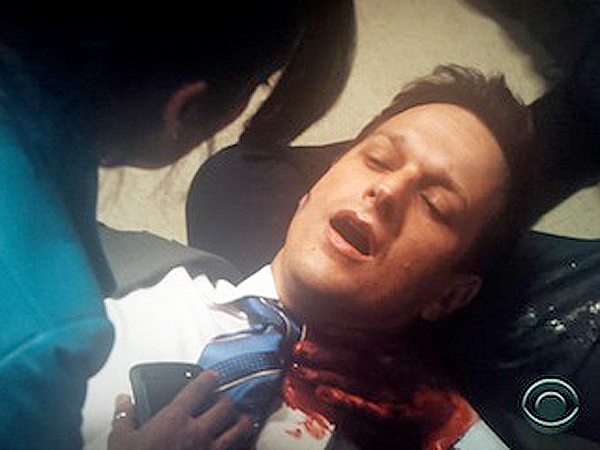 Will Gardner – The Good Wife, played by Josh Charles. I am still not over this one. Not only was he a great character on his own, but he was also the main love interest for Alicia, which is a brave move for any TV show. This was one of TV’s best kept secrets last season. 6. Marvin Eriksen Sr. – How I Met Your Mother, played by Bill Fagerbakke. This episode aired about eight months after my own father passed away, so it hit me especially hard. You never expect the sit-coms to make you cry. 8. Denny Duquette – Grey’s Anatomy, played by Jeffrey Dean Morgan. This is still one of my favorite and least favorite episode’s of this show. It is my favorite because it is just a great episode of television and my least favorite because it makes me ugly cry every single time I watch it.